UCL has recently committed to a sustainable energy research programme with Mexico and fellow London institutions LSE and Imperial College. A team from the The Bartlett, along with researchers from Imperial College and the London School of Economics (LSE), has joined Mexico’s newly launched £7.8 million sustainable energy research programme. The initiative is the largest bilateral cooperation with the UK in this field. “UCL values the relationship it has developed with SENER, CONACYT and Mexican research institutes over the last two years in the area of energy sustainability. UCL is committed to help tackle the key global grand challenges, [and] it is only through such collaborations that we will be able to reach global energy sustainability within the time scales required. The MOUs we are signing today will play a critical role in laying the foundations for a strategic alliance for energy sustainability between Mexico and London. 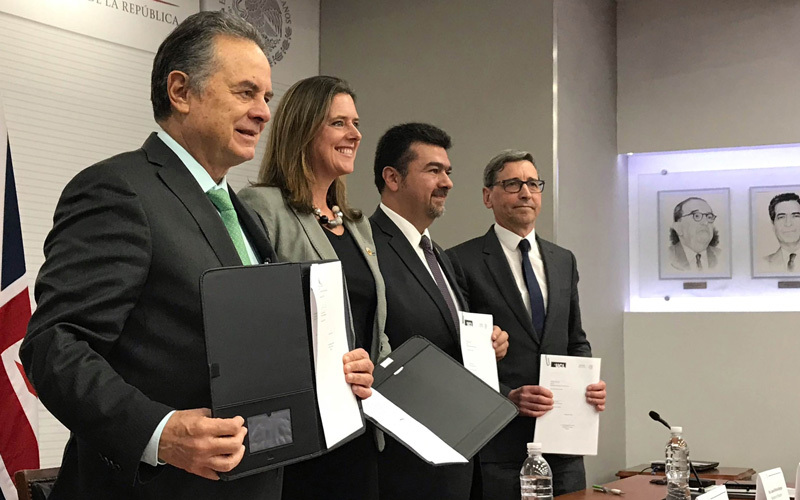 The MOU signing ceremony was attended by Pedro Joaquín Coldwell, Mexico’s Minister of Energy, along with Imperial College’s Professor Daryl Williams and LSE’s Professor Sam Frankhauser. All of the research projects will be jointly developed with Mexican institutions. UCL is involved in projects that include smart and sustainable cities, energy innovation policy and energy efficiency in buildings, while LSE will look at transition to a low-carbon economy and Imperial College will focus on advanced solar systems and capacity building in university-led entrepreneurship and innovation. UCL has invested heavily in research and education to support the development of future sustainable energy systems. The UCL Energy Institute, now home to over 200 staff and students, was founded nine years ago with the specific purpose of helping government and industry transition to sustainable energy systems.